The U.S. government will pay Anthem Inc. $742 million and Humana Inc. $549 million to reimburse big insurance claims the companies covered under PPACA. (Bloomberg) — The U.S. government will pay Anthem Inc. $742 million and Humana Inc. $549 million to reimburse big insurance claims the companies covered under the Patient Protection and Affordable Care Act (PPACA). The reinsurance payments — which also went to firms like Aetna Inc. and Assurant Inc. — are designed to stabilize Obamacare’s nascent insurance markets by helping to cover more expensive claims. The figures disclosed Tuesday were in line with what the companies had projected. Details of those payments and a related program that shifts funds among companies were released by the Centers for Medicare & Medicaid Services. The reinsurance program covers health insurers’ costs when an individual member has particularly high medical bills. The government said the risk-transfer program is “working as intended” by moving extra funds to insurers that had large numbers of patients with HIV/AIDS and other costly conditions. The programs help “keep premiums stable and encourage insurance companies to compete on quality and price, not who can attract the healthiest enrollees,” Kevin Counihan, who oversees the health insurance marketplaces at CMS, said in a statement. For 2014, when a patient ran up more than $45,000 in expenses, the U.S. paid the balance of the charges up to $250,000. To fund the program, each insurer paid a $63-per- customer fee. In total, the U.S. will make about $7.9 billion in reinsurance payments for 2014. The government already has collected about $8.7 billion from insurers this year and expects to take in another $1 billion by Nov. 15. Extra funds can be used for claims in later years. The U.S. also posted information Tuesday about risk adjustments, which transfers money from insurers with healthier customers to those with sicker ones. The funds come only from other firms, not from taxpayers. Anthem, for instance, is paying $229.9 million to other carriers in the individual market, while getting $39.6 million in the small-group market, according to a Bloomberg analysis of CMS data. 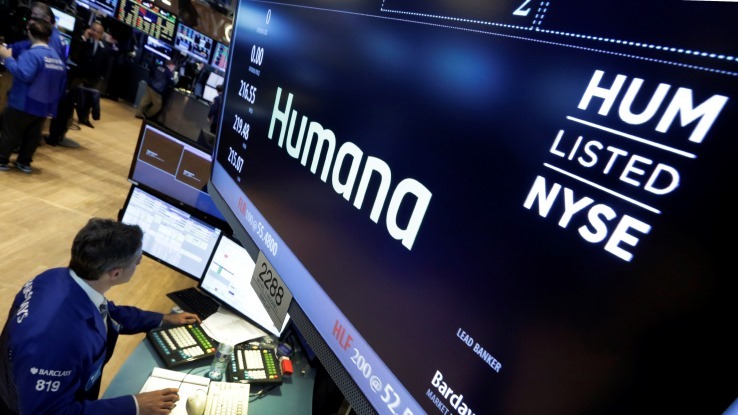 Humana is remitting $113 million in the individual market. The reinsurance program expires next year, while the risk adjustment program is permanent. Some of the payments are estimated, the government said, and may depend on how much money is ultimately collected from insurers. The risk adjustment data excludes Massachusetts because the state ran its own program. The U.S. hasn’t yet disclosed information about the third program designed to help insurers adjust to Obamacare, called risk corridors. About 6.3 million people had coverage through the Affordable Care Act’s markets at the end of last year. The law, passed in 2010, stopped insurers from charging sick people more or denying them coverage entirely. Bloomberg calculated the payments to insurers from the U.S. report, which lists each transfer to subsidiaries separately. Representatives of Anthem and Humana didn’t respond to requests for comment.